I know I haven’t updated UseShots Editor since summer. I was pretty busy with my other project Unmask Parasites. But I still use UseShots Editor myself (here is a couple of my latest blog posts created with UseShots Editor: 1, 2.). A few days ago, when WordPress 2.7 RC2 was released, I discovered that UseShots Editor produced the ” -2: Key [description] not found” error. My first thought was it was a bug introduced in RC2. I even found a suspect change in WP code and reported it in WP support forum. However when forum members failed to reproduce the error, I double-checked the issue and discovered a bug in my own code. In versions prior to WordPress 2.7 RC2, they ignored category descriptions in XMLRPC responses for the metaBlogger.getCategories call and always returned the category name in the “description” field. This way the “description” field was never empty. However in RC2, the started to pass actual category description (which may be blank and is usually blank for the “Uncategorized” category) in that field. For some reason in UseShots Editor, I didn’t check whether all fields in the responce are non-empty. It worked for previous versions of WordPress but no longer works for WordPress 2.7. That’s why I decided to release an emergency update to make UseShots Editor fully compatible with the latest version of WordPress, which you definitely should upgrade to. You can download UseShots Editor v0.6.1.63 here. WordPress 2.7 has been released. It’s a major upgrade (especially in terms of GUI). I’ve been using beta versions of 2.7 for quite some time for my other blog and I must admit I like it. However yesterday, with the Release Candidate 2, they added a bug to version 2.7 which was not fixed in this final release. This bug prevents offline clients like Windows Live Writer and UseShots Editor to load a category list from a server if even one category doesn’t have a description. This is a nasty bug since many people don’t assign description to categories. And there is a default pre-installed “Uncategorized” category that doesn’t have a description. This means your offline blogging clients won’t work smoothly with WordPress 2.7. I reported this bug in WordPress support forum. Until it is fixed, I don’t advise to upgrade to version 2.7 if you use XMLRPC-based clients. Update: Thanks to responses in the forum I realized that the bug was in UseShots Editor, not in WordPress 2.7. Sorry for the false alert. You definitely should upgrade to WordPress 2.7 - you’ll like it. I have fixed the bug and released an emergeny update of UseShots Editor. WordPress 2.6 Release Candidate 1 is available for downloading and the official release of version 2.6 may be announced any time this week. By default WordPress 2.6 will be installed with remote publishing turned off. I.e. you wont be able to use Windows Live Writer or UseShots Editor on new out-of-the-box WordPress installations. Don’t panic. It’s easy to turn the remote publishing back on. Note: If you are upgrading an existing blog to WordPress 2.6 you don’t have to do anything - remote publishing will still be available. Log in to WordPress admin panels. Click Settings, then Writing. Scroll down to the Remote Publishing section and enable the XML-RPC option. (Some software might also neen the “Atom Publishing Protocol”). If you don’t turn the remote publishing on, you will see the following error when you try to publish your articles: “405: XML-RPC services are disabled on this blog. An admin user can enable them at http://your-site-domain.com/blog/wp-admin/options-writing.php“. Just copy and paste the address into your browser’s address bar, log in to your blog, and turn on the remote publishing. Do I need to upgrade to WordPress 2.6? Yes, it’s a good idea to upgrade as soon as WordPress 2.6 is officially released. Don’t let hackers enough time to find vulnerabilities in your WordPress 2.5.1 blog. With the new version, your blog will be more secure. And if you are still using more old versions, you definitely should upgrade. Warning: If you are upgrading a compromised blog, your WordPress 2.6 will also be compromised. So, before the upgrade, make sure your existing WordPress blog is not compromised. You can use the WordPress Exploit Scanner to search the files and database of your website for signs of suspicious activity, or, if you don’t want to install anything, try the Unmask Parasites online service to check your web pages for hidden malicious content. UseShots Editor 0.6 has been released. Among other improvements, smarter UseShots Camera that will warn you when you try to capture screen area that is wider than your blog’s column. You will know whether the screen shot will be automatically resized to fit the blog layout or it will retain its original size along with the best image quality. If you post code snippets on your blog, you will like the fact that you can now use code and pre tags. code - defines computer code text. It is possible to achieve a much richer effect using style sheets. Before version 0.6 you couldn’t change the layout of UseShots-generated blog posts. 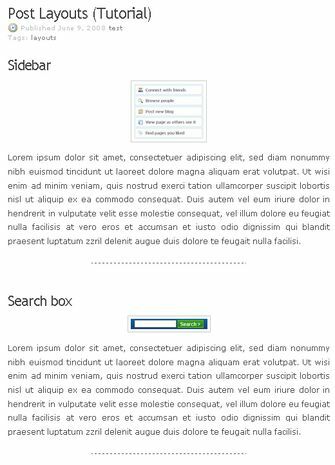 The pre-built layout was good (centered images followed by annotations), but if you prefer to place images on the right or left side of the column and have text wrapping around the images, the only thing you could do is modify HTML code of the published articles in the WordPress admin panels. 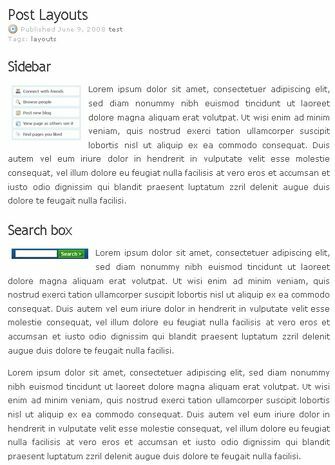 Now when you create a new article or preview an existing one, you can easily select the layout that better fits your blog style. 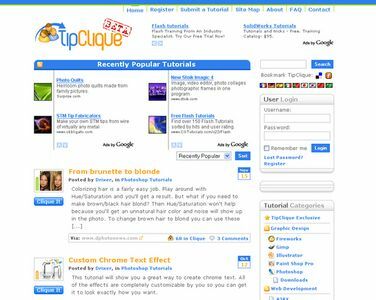 By default, the Tutorial layout is used. Every picture is on its own line, in the center of the column. Each screen is visually separated from other screens with dashed horizontal lines. This layout is ideal for tutorials where you explain things step-by-step. 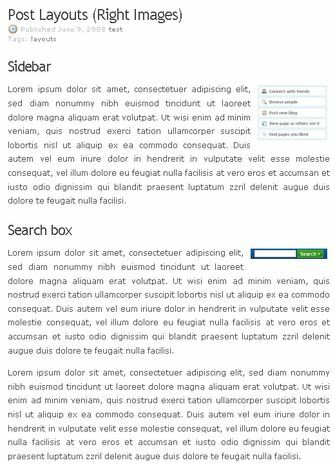 If you write a review and prefer a more natural flow of text, you should consider one of the Article layouts. In the Article (left images) layout, small images (less than a half column width) are placed on the left side of the column. Larger images are centered as in the Tutorial layout. Annotations wrap around the images. Screens are not visually separated. In the Article (right images) layout, small images (less than a half column width) are placed on the right side of the column. Larger images are centered as in the Tutorial layout. Annotations wrap around the images. Screens are not visually separated. In this post (I created it in UseShots Editor) I used the Article (right images) layout. And since the program is still under development, please suggest features you want to see in UseShots Editor. Let me know which blogging platforms you want it to work with. Send me links to your blog posted created with UseShots Editor. I will be posting such links on my blog from time to time. Your feedback is always welcome. Leave your comments here or use the contact form. In the first part of this series I talked about how tutorial directories can help you drive traffic to tutorials on your own site and improve ranking in search engines. In this part I’ll share my own experience with some of such directories. There is a very comprehensive comparison table of about 30 tutorial directories compiled Mike from Blue Sfear. He compares directories in terms of estimated traffic, PageRank, and topics the sites deal with. Mike speculates that if you submit your (presumably Photoshop) tutorial to each site in the list, you should receive at least 5,000 hits within one week. Anyway, I’m neither designer nor PHP programmer and I don’t have any Photoshop tutorials. Nonetheless, I wanted to test drive tutorial sites, so I had to limit my review to those directories that accepted my "Getting Started with UseShots Editor" tutorial. Thanks god, there still are some directories interested in pretty wide range of topics. I submitted my tutorial to categories like "WordPress", "Blogging", "Windows/Misc". Several minor tutorial sites use the Tutorial Garden’s database. So your tutorial will automatically appear on GYSU, Tut2, TutoralSpeed and maybe some other sites, which I’m not aware of. These sites will also get you direct links. Tutorials Garden also has a rather popular RSS feed. Unfortunately, I couldn’t test high traffic sites like Tutorialized (my tutorial is still pending and they don’t care to approve or decline it) or Good-Tutorials (I don’t have a tutorial that would fit their categories ). I guess if I had a Photoshop tutorial, my results would be much better. Any way, the numbers add up, and it you regularly release new tutorials and submit them to tutorial directories, you may have pretty steady traffic and get a lot of inbound link. Did you use tutorial directories? Success stories, anyone? O. James Fagbire of Free Downloads Center blogs about UseShots Editor. Tutorials are the sort of online resources many people like. At the same time they are a great way to promote your web sites, products, services and skills. In this post, I want to talk about how you can promote your online tutorials. First of all, online tutorials are regular web pages and all general web site promotion techniques works well with them. I.e. write quality content that other people would like to link to, have your tutorial indexed by major search engines and rank well, submit it to social media sites, advertize, etc. You can easily find tons of resources about web site promotion, so I’m not going to talk about them here. This post is about promotion opportunity specific to online tutorials - tutorial directories. Tutorial directories are web sites with categorized catalogs of links to various tutorials. There are dozens (if not hundreds) of such sites and you can submit your tutorial to most of them. The easiest way to locate such sites is to google for “submit tutorial”. How to submit a tutorial? The submissions are free and easy. On a specialized page, you need to select an appropriate category for your tutorial and specify a title and a short description along with a link to the tutorial web page. Some site will also ask for your web site (home page) link and an icon or a thumbnail that they can place next to your listing (usually a 50×50 or 60×60 gif file). Some sites require that you register before you can submit a tutorial. There are two major reasons why you might want to get listed on as many tutorial sites as possible: traffic and inbound links. Traffic. Every tutorial directory tries to highlight new submissions on its home page and you may expect a short-term increase of traffic from tutorial directories right after the submission. A few days later, when your tutorial is no longer on home pages and can be only found under specific categories of directories, the traffic will significantly decrease, and only occasional visitors will come to your site from tutorial directories. Inbound links. Nonetheless, in the long tail, you will benefit from the inbound links that will help you rank better in search engines. Most sites provide links both to the tutorial web page and the tutorial author’s web site. However you should be aware that some sites include only redirected or “nofollowed” links, and/or display your web pages in a frame. Although such links can channel traffic to your web site, they are almost useless in terms of SEO. In the second part of this post I will review tutorial directories. I have submitted my own tutorial to some of them and will be able to share my own experience with you. New version 0.5 of UseShots Editor, a free tool that helps create online screenshot tutorials on the fly, has been released. With addition of category support, UseShots Editor becomes aware of all major WordPress publishing options and you won’t need to fine tune UseShots posts in the WordPress’ control panel. You can categorize your articles directly in the UseShots Editor. The latest version can be downloaded here. UseShots remebers its window’s size and position and restores them the next time you open it. When you are ready to publish your articles you can specify appropriate categories in the Categories block in the Options section. When you publish your first article, the Categories block will be empty. To load a list of existing categories from your blog, click the load link. Alternatively, you can use the add link to add new categories one by one. UseShots Editor is a tool that helps bloggers use screen shots in their posts. It takes care of all the tedious stuff. You just take series of screen shots (as you would do with your digital photo camera), annotate them, and press Publish. No third party programs required. No need to resize screen shots to make them fit you blog’s layout (it will be done automatically). All file stuff is behind the scenes. Version 0.4.1 introduces new features that improve the quality of screen shots and make UseShots-generated posts more search engine friendly. 2. What’s new in version 0.4.1? I have finally found time to replace those ugly file names (e.g. 1C4D4616E76602684EA67F3BFB314C209401D40B.jpg) with much more readable and and SEO-friendly ones. Captions of the corresponding screens are used to generate the names of the screen shot files. 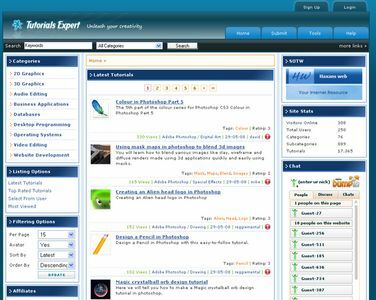 For example, if the caption of the screen is “WordPress 2.5 post editor“, the file name of the corresponding screenshot will be wordpress-post-editor.jpg (or .png, or .gif, the extention depends on the format of the image file). If you don’t specify the screen caption, or the caption contains non-English characters, the image file will be named pictureN.jpg where N is some number. UseShots Editor automatically saves screen shots in a web-optimized format (best image quality + smallest file size). In version 0.4.1, the PNG format has been added to already supported GIF and JPEG. This means that screen shots created with version 0.4.1 will occupy slightly less web server space than those created with previous versions of UseShots Editor. You can also load images in PNG format into UseShots Editor. At the upper left corner of the image area you will see the screen shot size and scaling information for the current image. The scaling percentage is the size difference between the original screen area and your screen shot. What do you think about UseShots Editor? Do you miss any feature? Any comments and suggestions are welcome.